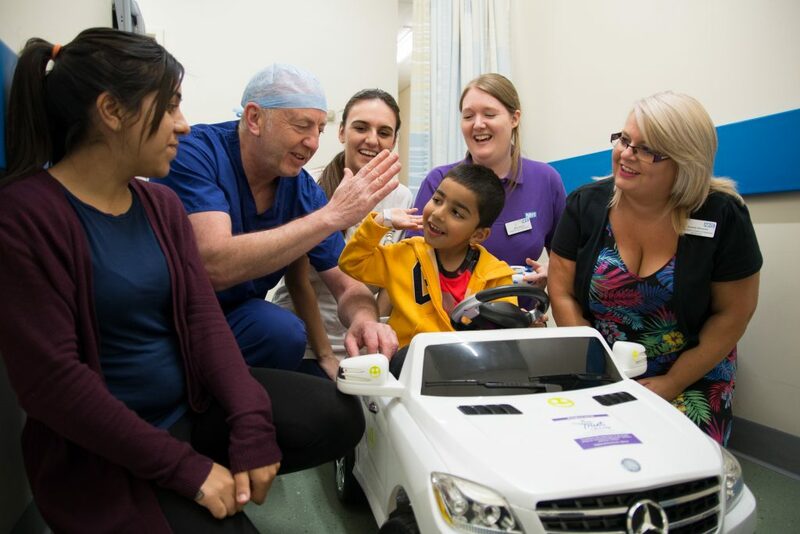 Children undergoing minor operations at Sandwell Hospital will be driven to surgery in mini-motors. Sandwell Hospital in West Bromwich has taken delivery of two remote controlled sit-in cars, kindly donated by Halfords in Oldbury. 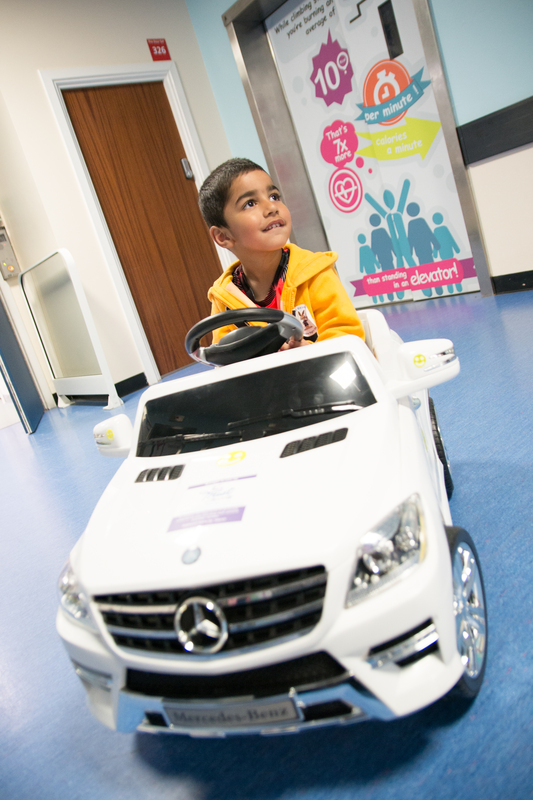 Youngsters will be strapped into the white Mercedes and will enjoy a ride up to the operating theatre where they’ll undergo their procedure. The car will be controlled by one of the play specialists and nurses. Mum-of-two Sundeep, 28, said: “This is a wonderful idea. Gavy wasn’t really looking forward to coming into hospital, but when he saw the car, it definitely put him at ease. The idea to introduce the £150 cars into the Children’s Ward, came from the hospital’s Your Trust Charity. Fundraising Manager Amanda Winwood, who had seen them being used in a hospital in America. She said: “I wanted to introduce the cars to our hospital so it would make the experience of being in hospital or having surgery a little bit better for our younger patients. Jez Jones, Matron for Acute Paediatrics, said: “It will be really exciting for children to have a more fun-filled journey in one of these cars when they are going into theatre, rather than being pushed on a trolley. Watch Gavy take a ride up to surgery at Sandwell Hospital, where he had a tooth removed.